1. Most people mistake being hungry when in fact they may just be dehydrated. So before your meal drink a glass of water before a meal. 2. Drinking water helps you lose weight as it works as a “flusher” of toxins and waste. Its also 0 calories. 3. Drinking water helps your immune system. If you add a little lemon to your water twice a day it helps to alkalize and balance the acid of the foods your body metabolizes. 4. Water gives energy. Kick the coffee, drink more water. 5. Water can prevent and alleviate constipation. 7. Your joints and ligaments need water to stay lubricated so you have a lesser chance of having cramps or sprains. 8. Studies shouw that water helps reduce the risk of bladder and colon cancer. 9. Hello fountain of youth! Look younger by drinking water. It hydrates your skin and it helps dry skin. 10. 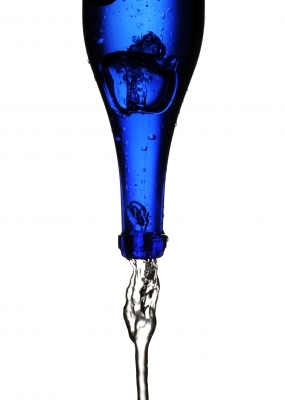 Since your brain is made of of 90% water – drinking water helps to think, focus, and concentrate better! Go ahead with your smart self! Drink up, your body depends on it. Disclosure: I am not a physician. Water is beneficial to every human being but persons with kidney disease, congestive heart disease, or on a diuretic must consult their doctor before taking in more water.